If you've shopped for a new car in recent years, you know the prices can get quite high, especially when you add on a lot of options. The average transaction price of a new car these days is around $34,000. So it might be wise to check out late model used cars. You can often find cars with the trim level and options package you want for thousands less than if you bought them new. Because consumers bought and leased new cars at a record rate since 2015, there are a lot of late model vehicles on the used car lot, meaning prices are falling. 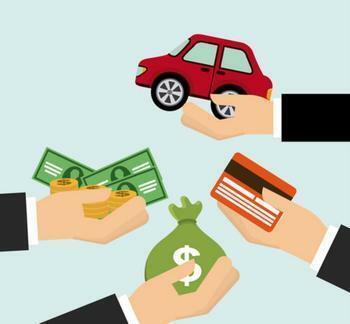 In July, AutoTrader.com reports the deals are even better because a number of manufacturers are offering used car incentives through their certified pre-owned programs. Audi is offering 2.49% financing on all of its 2012 through 2016 certified pre-owned models, except for the R8 sports car. The company is also extending terms on these vehicles for up to 66 months. Cadillac will finance its certified pre-owned cars at 2.9% for up to 36 months on 2015 models and newer. Kia is dropping the interest rate to 1.9% on its certified pre-owned models for up to 36 months. AutoTrader says Mazda's certified pre-owned program has dropped the interest rate to 1.49% for 36 months on all vehicles in its certified fleet. It is also offering two warranties for buyers who want some manufacturer-backed peace of mind with their a used car. Mercedes-Benz's certified pre-owned program has dropped the interest rate to 1.99% percent on a wide range of 2014-2016 models, with terms up to 36 months. AutoTraders calls it "a good offer that beats out Mercedes' usual new-car rates." Toyota hopes to move vehicles in its certified pre-owned program by adding two big warranty benefits. The company is sweetening the deal with a special 60 month, 1.9% financing package on the Camry Hybrid. If you're interested in a MINI, you'll find one of the lowest interest rates around on a certified pre-owned car -- 0.9%. That deal is available on 2013 and 2014 models. You can even get $500 cash back, something that almost never happens when buying a used car. AutoTrader calls Volvo's certified pre-owned program one of the very best. In July, if you buy a CPO 2015 S60, you may qualify for a 0% interest rate for up to 24 months. If you're wondering what exactly makes a car "certified" it all depends. Here's what AutoTrader has to say about it.